Several methods have been proposed so far for the stimulation of neural structures, targeting the CNS (tDCS, TMS, SCS) or the PNS (Peripheral afferent nerve stimulation, cutaneous stimulation, TENS...). Improved technologies and more effective protocols are constantly being presented, pushing the limits of innovation in this field. These advances allow a better understanding of the nervous system functions and offer new methods for generating and driving CNS plasticity, with huge potential for medicine and rehabilitation. In this workshop, experts from the field will provide a general perspective of their research areas and discuss the current state of the art and future of these technologies. Brain Machine Interfaces (BMIs) hold great promise for improving the lives of patients with motor disabilities caused by stroke or spinal cord injury (SCI). 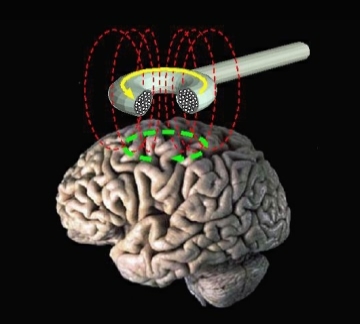 Emphasis has been placed primarily on restoration of function, including computer cursors, robotic limbs, and even electrically activated muscles controlled using signals obtained directly from the brain. However, neurological injury increases plasticity within the CNS, opening a short-lasting window for therapeutic intervention. There is mounting evidence that electrical stimulation, either centrally or in the periphery, if appropriately timed with respect to motor intent, can induce adaptive plastic changes and generate accelerated functional recovery from motor disorders. This session will examine a range of these stimulus-driven therapeutic approaches to recovery from stroke and spinal cord injury. In the last decade there has been a tremendous increase in tDCS research, delivering exciting prospects for clinical applications in several fields. In this session, experts in the field will discuss the state of the art of tDCS research in neurorehabiliation, with a view on the emerging clinical applications of this novel technology. During the coffee break there will be a hands on tDCS training session highlighting new technologies for multichannel tDCS, combination with EEG and home use. The state of the art of tDCS: what can we expect in the near future? Motor control is the process in which humans use their brain to activate and coordinate the muscles and limbs involved in the performance of a motor skill. The study of how this motor control is achieved has become increasingly useful in neurorehabilitation therapies where motor learning is a key factor in the recovery of motor function. 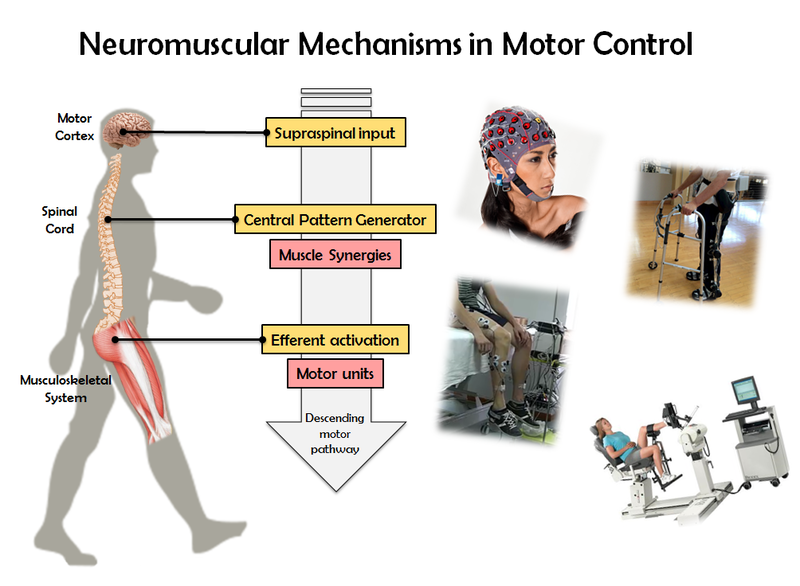 This workshop provides an overview of current studies on neuromuscular mechanisms in charge of motor control and coordination showing recent advances on various aspects: from the cortical involvement during motor execution to the role of synergistic control in muscle activation. Establish a broad forum working to enable and facilitate cooperation and exchange of knowledge between Latin American actors working in the field of rehabilitation and care of patients with neurological injury. Towards a Wearable Robot for Lower Limb Rehabilitation through Human Motion Intention. Denis Delisle Rodriguez, Ana Cecilia Villa Parra, Alberto López-Delis, Anselmo Frizera Neto, Eduardo Rocon and Teodiano Bastos. Velocity dependent spasticity detection for Active Exoskeleton based therapies. Rafael Mendoza, Rogelio Soto and Jose Luis Pons. 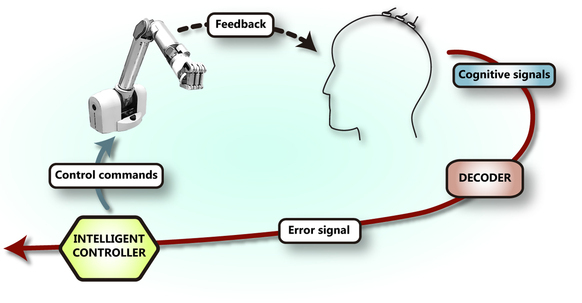 Evaluating cognitive mechanisms during walking from EEG signals. Eduardo Iáñez, Álvaro Costa, Andrés Úbeda, Enrique Hortal, Marisol Rodríguez-Ugarte and Jose M. Azorin. Effects of the use of functional electro-stimulation (FES) on the physiological cost, speed and capacity of gait after stroke. Silvana Mercante, Edgardo Cersósimo, Carolina Letelier and Silvina Cacciavillani. Inclusive Approach for Developing a Robotic Vehicle for Disabled Children. H. Fernández, G. Mercado, V. González and F. Brunetti. Thomaz Botelho, Douglas Soprani, Camila Rodrigues, Paula Rodrigues, Paula Schneider, Andre Ferreira and Anselmo Frizera. Comprehensive Environmental Intervention for Cerebral Palsy based on the International Classification of Functioning Disability and Health. Patricio Barria, Veronica Schiariti, Asterio Andrade, Antonia Bandera, Heriberto Henriquez and Andre Moris. Defining therapeutic scenarios using robots for children with Cerebral Palsy. Jaime Alberto Buitrago and Eduardo Francisco Caicedo Bravo. An approach to Phase Model for Steady State Visually Evoked Potentials. Jaiber Evelio Cardona Aristizabal, Eduardo Caicedo, Wilfredo Alfonso, José Del R Millán and Ricardo Chavarriaga. Serious Game for Post-Stroke Upper Limb Rehabilitation. Nicolas Jacobo Valencia Jimenez, Vivianne F Cardoso, Anselmo Frizera Neto and Teodiano Bastos. Wearable Robotic Walker for Gait Rehabilitation and Assistance in Patients with Cerebral Palsy. Carlos A. Cifuentes, Cristina Bayon, Sergio Lerma, Anselmo Frizera, Luis Rodriguez and Eduardo Rocon. 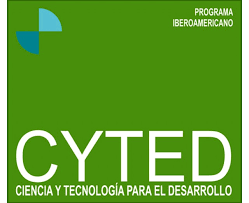 Experiences in Development and Application of Simplified Technologies for Rehabilitation and Gait Analisys. Fernando Salvucci, Ricardo Garbayo, Carolina Fernández Biscay and Rafael Kohanoff. Quasi-static tests on a low cost polymer optical fiber curvature sensor. Arnaldo G. Leal Junior, Lucas G. Webster, Anselmo Frizera-Neto and Maria José Pontes. Proposal for clinical validation of lower limb robotic exoskeleton in patients with incomplete spinal cord injury. Soraya Perez Nombela, Antonio J. Del-Ama, Angel Gil-Agudo, Mónica Alcobendas-Maestro, Fernando López-Díaz, Jesús Benito-Penalva, José L. Pons and Juan C. Moreno. Tribute to Doctor Ramón Ceres. Lately, BCI systems become increasingly used in the context of stroke rehabilitation. Many BCI systems are based on motor imagery activity recorded from the sensorimotor cortex, which is translated into continuous control signals for rehabilitation devices. The workshop will review current stroke rehabilitation using BCI technology and will provide insight into technology, experimental setups, results and outcomes of patient studies. Some patients diagnosed as vegetative are reclassified as (at least) minimally conscious when assessed by expert teams. A further subset of potentially communicative non-responsive patients might be undetectable through standard clinical testing. Other patients might have transient periods of relative wakefulness, but remain unaware of their surroundings. The workshop will provide an overview of BCI technology to identify non-responsive patients that might be able to communicate and use the technology as an assessment tool. General principles of BCI for stroke rehabilitation, coma assessment and communication will be explained, so the audience will get an inside in the topic. Further participants will be able to understand the target patient group. Participants will learn about state-of-the art in BCI stroke rehabilitation, coma assessment and communication. Half Day Workshop Schedule: Introduction to major methodological approach of BCI for stroke rehabilitation, coma assessment and communication (30 min); results of ongoing measurements (30 min); practical session with a live demonstration of stroke rehabilitation system using BCI technology (45 min); practical session with a live demonstration of an assessment system for DOC patients using BCI technology (45 min). Profile of the participant: Clinical and engineering profile. Knowledge that will be obtained: Participants will learn about current technology for stroke rehabilitation, coma assessment and communication will be explained. Participants will also be able to understand the target patient group. Finally, participants will learn about state-of-the art in BCI stroke rehabilitation. Brain Recently neural interfaces have ben proposed as a means for motor rehabilitation of severely paralyzed patients who cannot benefit for an alternative therapy. This workshop will report on current advances in the use of brain-machine interface (BMI) systems for motor rehabilitation. This field aims to use closed-loop BMI technology as a means of inducing functional plasticity to circumvent the lesion in the brain and facilitate functional motor recovery. The workshop will cover different aspects of BMI systems that are relevant to motor rehabilitation, including neurotechnology, experimental work in animal models, as well as human clinical trials. This workshop aims at bringing together researchers from the robotics field of walking rehabilitation and assistance, experts in clinical movement analysis and rehabilitation, biomechanics and human motor control to discuss different aspects of current research and development, the challenges of the field, and limiting factors in innovative robotic solutions for walking rehabilitation and assistance. The organizers explicitly aim to encourage discussion among senior and junior researchers, on these topics. As continuity of the successful previous edition of this workshop held at ICORR 2015, the organizers selected leading speakers in the fields related to the design and applications of lower-limb robotic systems for rehabilitation and assistance, from physiology to safety and control. During the past years, significant advances have been made in the development of technological solutions that allow incredibly precise means of recording and characterising the activity in the CNS and PNS. 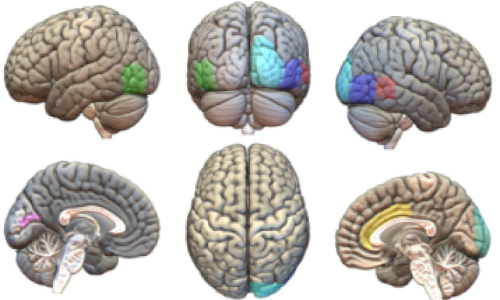 The suitability of these different solutions for diagnostic and therapeutic applications has to be precisely considered in many different lines within the neurorehabilitation field. This workshop will give a highly technical overview the current research lines involving techniques such as LFPs, multi-channel, high-density neural recordings, EEG, high-density EMG and MEG. Speakers will highlight the main opportunities and technological challenges related to the acquisition and processing of these high-dimensional recordings. - Maria V. Sanchez-Vives, ICREA Research Professor at Institut d'Investigacions Biomèdiques August Pi i Sunyer (IDIBAPS). WS9. Inertial technology for Biomechanical Assessment, breaking paradigms. It is well known the motion capture systems based on cameras (photogrammetric technics) are reference in the biomechanical analysis field, despite its limitations and disadvantages, such as high computational costs, high start-up time or low portability. The cutting-edge inertial technology is showing excellent capabilities to become a revolutionary new reference in this field with several advantages. Organized by Centro Superior de Estudios Universitarios LaSalle and the company Technaid S.L., this workshop is framed as a hands-on experience where the attenders will immerse in using the Tech-MCS, the inertial motion capture system developed by Technaid and designed for biomechanical analysis. Thus, starting with the basics of this technology through some research studies, it will be evident how the versatility, portability and reliability of the inertial technology increase its potential to be applied in different areas of human biomechanics assessment. 1. Introduction to Inertial Technology. A brief introduction to Inertial Technology fundaments will underlie the lecture about Inertial Motion Capture Systems applied to human biomechanics, as an objective measurement tool. During the lecture we will go in depth in the extent of these systems stocktaking the advantages and disadvantages in their application on biomechanics. 2. Presentation of Inertial Technology Reliability Validation Studies. We will introduce the different Validation Studies carried out at the LaSalle’s Biomechanics Laboratory. The most relevant study is about the comparison between Inertial Technology based Motion Capture System and current market referents as Optoelectronic Motion Capture Systems. Several data will be explained about the Inertial System validity during the evaluation of human biomechanics in different motion planes. 3. Movement Valuation During Musculoskeletal Pain. Pathologic Gait Study. Experimentation will be prioritized. Attendees will have the opportunity to implement their recent knowledge about Inertial Motion Capture Systems by means of different exercises selected to strengthen the use of this technology with an easy and efficient approach, obtaining quick results. 3D angular measurements will be obtained in different human joints, as well as different Pathologic Gait Analysis will be carried out. In addition, attendees will have the opportunity to set out and solve any specific need about their studies in movement analysis. Central nervous system disorders usually come up with different motor disorders. 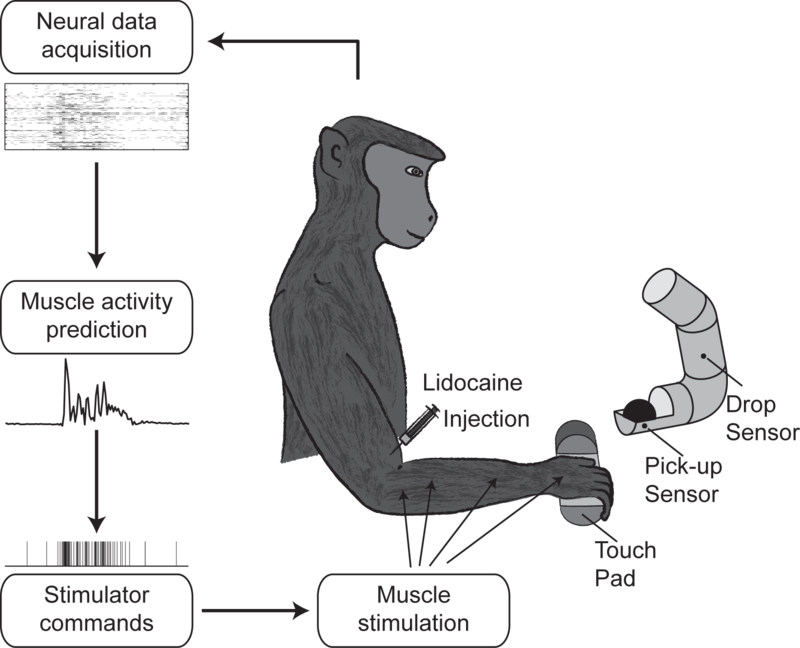 In neuro-rehabilitation area, the improvement on the joints’ motor control could be assisted by inertial systems in order to increase the cognitive impact of the movement, as well as to apply sensitive feedback techniques. Physiotherapeutic procedures examples, for motor-control improvement, applying inertial technology will be introduced too. Our brain is very adaptive, and can map relevant artificial tools as an extension of the physical body. The relationship between the body and the external object is special when wearing tools. This is more true in patients with a reduction or loss of sensorimotor information due to injury and the use of wearable devices may influence recovery by interacting with the residual body capacities interfacing, directly or indirectly, with an altered sensorimotor systems. In the present workshop, we will focus on the neurobiological mechanisms of embodiment and how specificities of wearable robotic devices may influences body schema changes as well as devices usage and improve functionality. To induce changes on body perception has critical ethical issues, which will be also addressed. - Marco Molinari. Introduction. 10 min - Marco Molinari. “The neurobiology of embodiment in health and disease” 20+10 minutes. - Pisotta Iolanda. “To wear VS to use devices for motion assistance: Agency affect body representation” 20+10 minutes. - Dario Farina. “Robotic devices in amputees and body representation” 20+10 minutes. - Étienne Burdet. “To wear haptic devices for body representation changes” 20+10 minutes. - Pim Haselager. “Wearables, agency and responsibility: On the ethics of wearable robotics” 20+10 minutes. The availability of standardized metrics and protocols to evaluate the effectiveness of wearable robotics technology is a crucial step in the research-to-market process. What “good” means in wearable robotics is still an open question, which involves multiple perspectives at technical, clinical and usability levels. This workshop is to promote a face-to-face discussion between engineers, clinicians and users in identifying the most promising directions in this field. 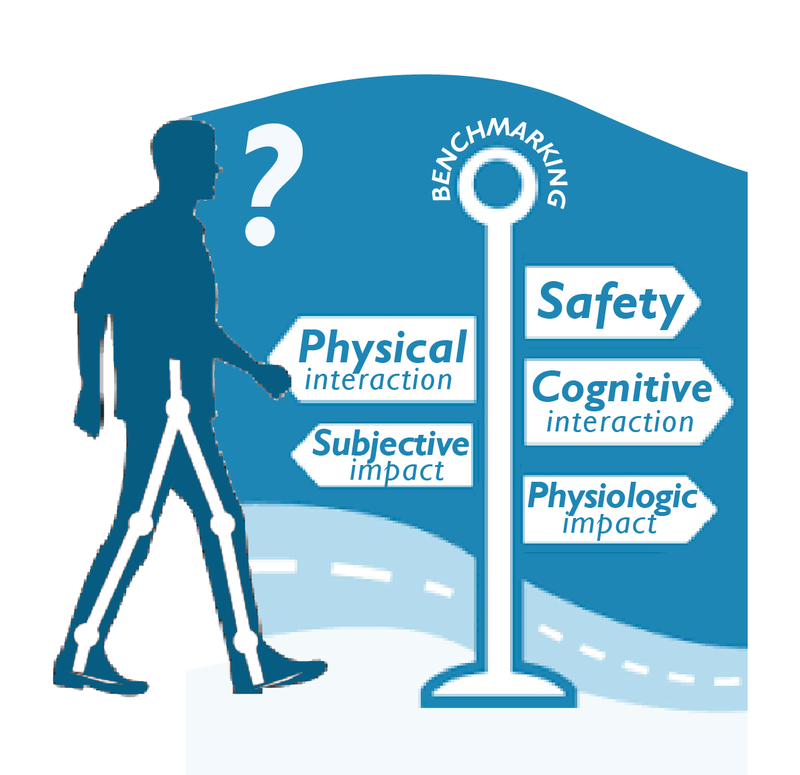 The workshop will result in a draft version of a “roadmap for benchmarking”, which can be used by the community to guide future research and collaborative actions. This workshop is a follow-up of previous workshops at WeRob2014, ICORR 2015, and WeRob2016. The workshop is supported by the recently created network on benchmarking, and by the European Projects Biomot and BALANCE. In the second part of the workshop, each group will briefly report about the most relevant points discussed, in order trigger a more general discussion with the audience. Throughout the workshop, organizers will collect the main conclusion, and draft a first version of the roadmap, that will be made available to the attendees interested in receiving it. *The groups will be supported with material to favor interactive and creative discussion (Post-it, markers, flip charts, published papers, etc…). The workshop will highlight recent technological advances by focusing on advanced technologies that monitor and control brain activities to treat neurological diseases, including Alzheimer's, Epilepsy, Depression, etc., from the molecular to systemic levels.